Professor Philip Russell, Director of the newly founded Max-Planck Institute for the Science of Light, will be presenting a free public lecture this week. 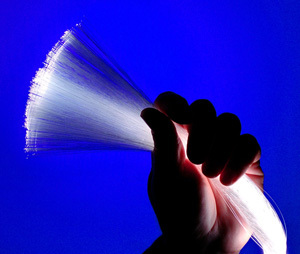 Prof Russell will be talking about photonic crystal fibre (PCF), a hair-thin thread of glass with a ‘cage’ of tiny hollow channels running along its length. This periodic lattice makes it possible to guide light in new ways, for example, to cage it inside an empty core. In such a hollow-core PCF it is possible to eliminate the diffraction of light over km distances in empty space. By filling the core with gases, nonlinear gas-laser interactions can be enhanced by seven orders of magnitude in the best low-loss PCFs. Hollow-core PCF can also be used, for example, to laser-guide small particles, molecules or atoms along a curved path. Through its unique and varied characteristics, PCF is creating many new opportunities in diverse areas of fundamental and applied research. Described as the Godfather of Microstructured Optical Fibres, Prof Russell always gives insightful and intriguing physics-based talks, and anyone interested is encouraged to attend!